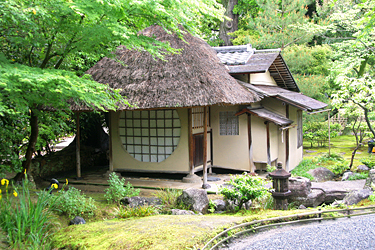 Happily, the teas of Japan are uniquely and quintessentially Japanese. And in Japan, tea cultivation, leaf manufacture and tea drinking practices have been raised to a fine art that is unsurpassed. In contrast to the thousands of teas in all of the six classes produced by neighboring China, Japan produces fewer than twenty types of tea, all of which fall into one class: green tea. Japanese teas are cultivated in numerous locations on the main island of Honshu as well as in several regions of Kyushu Island in the south. While distinctly different in appearance from Chinese or Korean green teas, many of Japan’s green teas bear a striking similarity one to another. Common traits are a vivid green color, long, needle-shaped leaves and bright, mouth-filling flavors that can be described as vegetal, kelpy, buttery and sweet. 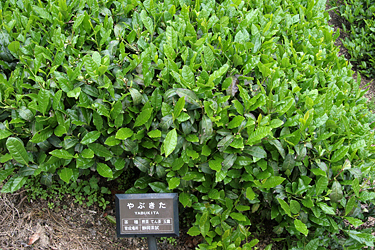 Japanese teas undergo a ‘steaming’ step in their production (most Chinese green teas do not ) which adds to the rich, deep-green color and the distinctive flavor. Japan has been producing tea for centuries, but Japan has progressed from crafting handmade tea to the introduction of machine-manufactured tea in the nineteenth century to computer-automated machinery in the twentieth century. 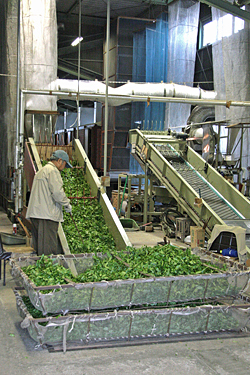 Today, most Japanese tea is made from leaf that has been mechanically plucked from tea bushes that grow in meticulously groomed tea gardens at relatively low altitudes. This leaf is processed by sophisticated, computer-driven, high-tech machinery in state-of-the-art modern leaf-processing facilities.